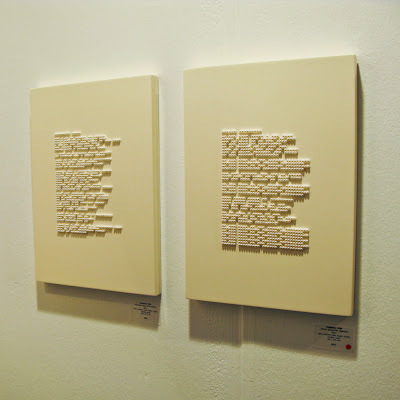 Egidija's Notebook: London Art Fair: Sankeum Hoh pearls up the language. London Art Fair: Sankeum Hoh pearls up the language. Sankeum Koh at Hanmi Gallery. There is something about things that look like language, but we cannot read. A possibility of language. Removed language. Empty shapes. Fired books. Sankeum KOH’s works involve the meticulous assembly of pearl beads or steels balls to create an illusion of blurred texts, sourcing from newspaper columns, books, and poetry. Koh transforms the literary words into fragmented visions. She draws upon the viewer’s frustration of not being able to read the cryptic codes leaving the viewer to question what it is they are actually ‘reading’. 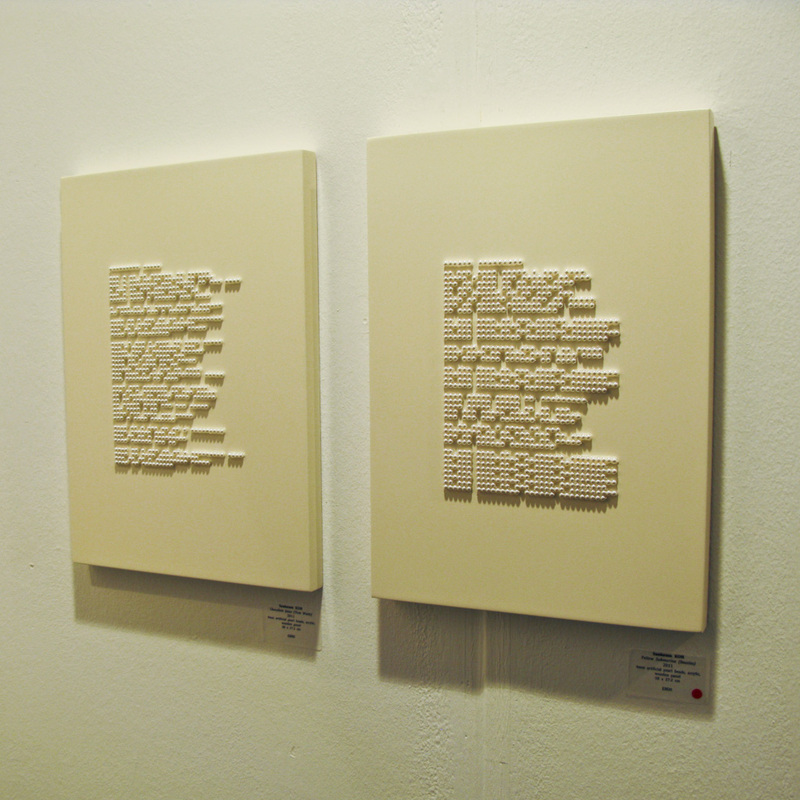 Her works aim to challenge the validity of such texts in newspapers and question the dogmatic approach of its readers.